Cardiovascular diseases have the lead among the most frequent causes of death in the US. Your heart is a pump, which pushes blood and helps carry it to each part of your body. 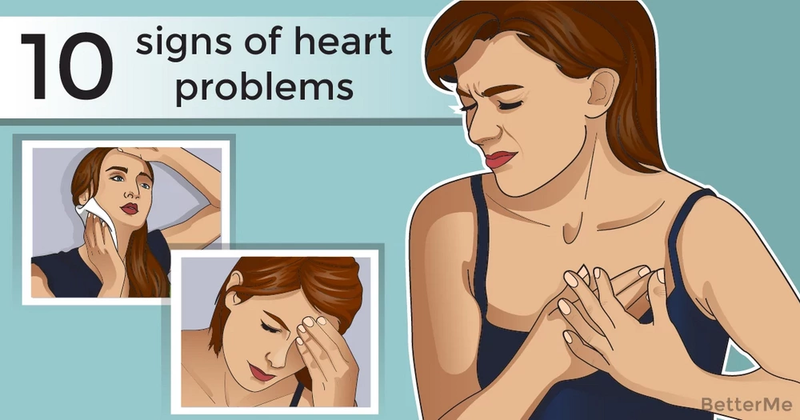 Nowadays heart diseases have become a really common problem, which is frequently caused by our habits, poor dietary changes and sedentary lifestyle. In the majority of cases cardiac dysfunction occurs as a result of atherosclerosis. In this disorder fatty accumulations tend to stick to the internal part of the arteries, which supply heart muscle with oxygenated blood. That leads to the narrowing of the vessels’ lumen. When cardiac muscle doesn't get enough oxygen, it loses ability to work properly. Sometimes cholesterol plaques may rupture. After that blood cells may adhere to the damaged surface, forming blood clots. These clots may tear off the artery's wall, travel to other body areas and block the vessels, resulting in the potentially life-threatening conditions like heart attack and pulmonary embolism. We've said that atherosclerosis may impair blood supply of the heart. Lack of oxygen usually leads to the gradual dying of the cardiac cells. Consequently your heart can't pump sufficient amount of blood to satisfy body's daily needs. This condition is called heart failure. The problem may also develop, if your heart begins to beat too quickly, too slow or irregularly. Doctors call that arrhythmia. Specialists say that many of us live with heart disease, but don't know about it. 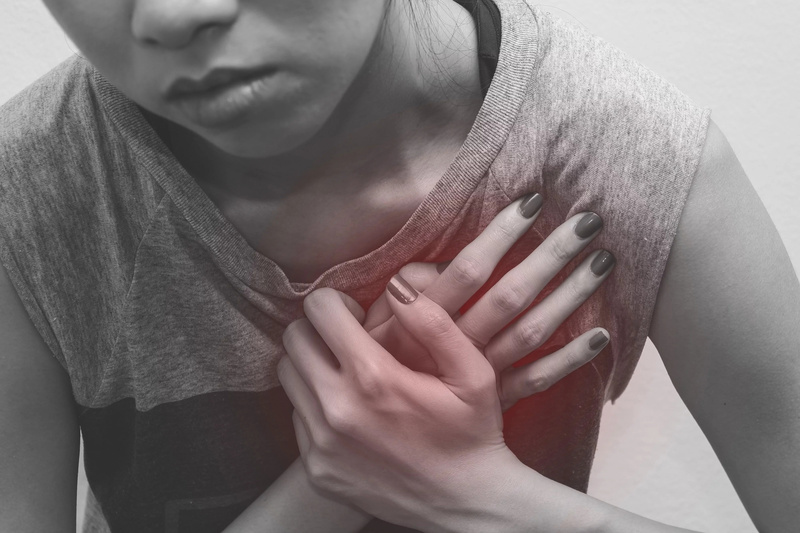 #1 Chest discomfort and pain – it is one of the most frequent, classic symptoms of the heart attack. Aching, pressure and sense of heaviness may develop during physical activity (including walking). If these symptoms go away when you make a pause, the condition is called angina. #2 Shortness of breath – dyspnea happens, when blood tend to accumulate in the pulmonary veins because of heart dysfunction. Breathlessness usually gets worse while lying flat and during physical activity. #3 Peripheral edema – heart failure causes buildup of the fluid within the body tissues. Swelling in the lower extremities, which worsens at the end of the day, is a typical sign of the heart disease. #4 Palpitations – speed and regularity of your heartbeats may be disturbed because of numerous reasons. People with arrhythmias frequently complain of fluttering in the chest and skipping beats. #5 Pain in the neck, left arm or jaw – though chest pain is a classic symptom of the heart problems, patients (particularly women) with cardiovascular disease often suffer from the pain in the left arm, blade, jaw or neck, which start abruptly. Actually these feelings may be not even accompanied by discomfort in the chest. #6 Nausea – most of us commonly relate nausea and vomiting to the digestive problems. But be aware that feeling sick may be also a sign of the heart attack or heart failure. #7 Persistent cough – not only infection and cigarettes may be the culprits of your coughing and wheezing. Accumulation of the fluid in the lungs may result in the cough and production of the white or pink mucus. #8 Extreme tiredness – people with healthy heart may feel exhausted after long-term working or vigorous exercises. The problem is, if you feel extremely tired even after doing your daily tasks. Specialists say, the reason may be in the improper pumping function of your heart. #9 Heartburn and indigestion – your heart, esophagus and stomach are situated closely to each other. That's why heart attack can sometimes mimic upset stomach and acid reflux. #10 Dizziness – irregular heart rhythm can affect delivery of the blood to your brain. As a result, you may experience lightheadedness and fainting. READ MORE: What can your favorite flower say about your personality?